Your brain absorbs about 11 million pieces of information every second, but is consciously aware of less than .001 percent of all that richness. Or at least that’s usually the case. Having analyzed your astrological omens, I suspect that you might soon jack that figure up as high as .01 percent–a 10-fold increase! Do you think you can handle that much raw input? Are you amenable to being so acutely perceptive? How will you respond if the world is 10 times more vivid than usual? I’m pretty confident. I suspect you won’t become a bug-eyed maniac freaking out on the intensity, but rather will be a soulful, wonder-filled explorer in love with the intensity. You have a strong, intricate understanding of where you have come from. The old days and old ways continue to feed you with their mysterious poignancy. You don't love every one of your past experiences, but you love ruminating about them and feeling the way they changed you. Until the day you die many years from now, your history will keep evolving, providing an endless stream of new teachings. And yet at this particular moment in your destiny, Cancerian, I think your most important task is to focus on where you are going to. That's why I urge you to temporarily forget everything you think you know about your past and instead concentrate on getting excited about the future. In 1928, Bobby Pearce won a gold medal in rowing at the Summer Olympics in Amsterdam. An unforeseen event almost sabotaged his victory. As he rowed his boat along the Sloten Canal, a family of ducks swam leisurely from shore to shore directly across his path. He stopped to let them pass, allowing an opponent who was already ahead of him to gain an even bigger advantage. Yet he ultimately won the race, rowing with such vigour after the duck incident that he finished well ahead of his challenger. I foresee a comparable sequence in your life, Leo. Being thoughtful and expressing compassion may seem to slow you down, but in the end that won't hinder you from achieving your goal–and may even help. In one of her "Twenty-One Love Poems," Adrienne Rich talks about her old self in the third person. "The woman who cherished/her suffering is dead. I am her descendant./I love the scar tissue she handed on to me,/but I want to go from here with you/fighting the temptation to make a career of pain." With your approval, Virgo, I'd like to make that passage one of your keynotes in the coming months. According to my analysis, you will have an excellent opportunity to declare your independence from an affliction you've been addicted to. Are you willing to say goodbye to one of your signature forms of suffering? "You should be interviewing roses not people," says a character in Anne Carson's book *The Autobiography Of Red. * That's sound poetic advice for you in the coming days, Libra. More than you can imagine, you will benefit from being receptive to and learning from non-human sources: roses, cats, dogs, spiders, horses, songbirds, butterflies, trees, rivers, the wind, the moon and any other intelligences that make themselves available to you. I'm not saying you should ignore the revelations offered by people. But your emphasis should be on gathering in wisdom from life forces that don't communicate with words. William Shockley was a Nobel Prize-winning physicist who co-invented the transistor. He also helped launch the revolution in information technology, and has been called "the man who brought silicon to Silicon Valley." *Time* magazine named him one of the hundred most influential people of the 20th century. On the other hand, Shockley became a controversial advocate of eugenics, which damaged his reputation, led many to consider him a racist and played a role in his estrangement from his friends and family. I suspect that you will have to deal with at least one Shockley-type phenomenon in the coming weeks, Scorpio. Will you overlook the bad stuff in order to take advantage of the good? Should you? Novelist Herman Melville wrote that in order to create art, "unlike things must meet and mate." Like what? "Sad patience" and "joyous energies," for example; both of them are necessary, he said. "Instinct and study" are crucial ingredients, as well as humility and pride, audacity and reverence, and "a flame to melt" and a "wind to freeze." 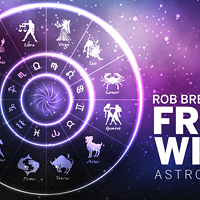 Based on my interpretation of the astrological omens, Sagittarius, I believe you will soon need to meld opposites like these as you shape that supreme work of art–your life. Haggis is a Scottish pudding. According to the gourmet food encyclopedia Larousse Gastronomique, it has "an excellent nutty texture and delicious savory flavour." And yet, to be honest, its ingredients don't sound promising. To make it, you gather the lungs, liver, small intestine and heart of a sheep, put all of that stuff inside the stomach of the sheep along with oatmeal, onions, salt and suet, and then simmer the whole mess for three hours. I'm guessing that your work in the coming week may have a certain metaphorical resemblance to making haggis, Capricorn. The process could a bit icky, but the result should be pretty tasty. Almost 100 years ago, world-famous comedian Charlie Chaplin decided to take part in a Charlie Chaplin lookalike contest in San Francisco. He did his best to imitate himself, but it wasn't good enough. He didn't come close to winning. But I think you would have a different fate if you entered a comparable competition in the coming weeks. There's no question in my mind that you would be crowned as the person who most resembles you. Maybe more than ever before, you are completely yourself. You look like your true self, you feel like your true self and you are acting like your true self. Congratulations! It's hard work to be so authentic. "The art of medicine consists in amusing the patient while nature cures the disease," said French philosopher Francois-Marie Voltaire. That principle will be useful for you to invoke in the coming weeks. You definitely need to be cured, although the "disease" you are suffering from is primarily psychospiritual rather than strictly physical. Your task will be to flood yourself with fun adventures, engaging stories and playtime diversions so that nature can heal you without the interference of your worries and kibitzing. In its quest for nectar, a hummingbird sips from a thousand flowers every day. As it flaps its wings 70 times a second, zipping from meal to meal, it can fly sideways, backward or forward. If it so desires, it can also hover or glide upside-down. It remembers every flower it visits, and knows how long it will take before each flower will produce a new batch of nectar. To some Spanish speakers, hummingbirds are known as joyas voladoras ("flying jewels"). Now take everything I've just said and use it as a metaphor for who you can be in the coming week.